REI Bucks a Trend. It's About Time. 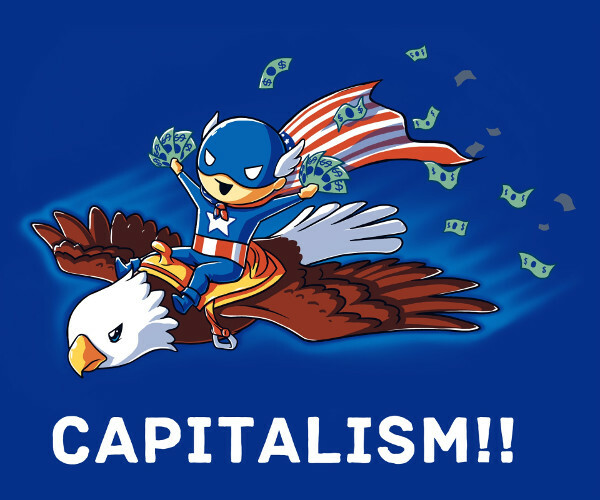 There has been much debate as of late, on the subject of capitalism. The system itself has been getting quite a black eye not only in social media, but often in the general press as well. The for-profit nature of capitalism often irks those leaning toward a more socialist or communist mindset. Ben Gliniecki, a pro-Marxist who balked at a recently instituted $6 fee to visit Marx's grave site claimed, "There are no depths of irony, or bad taste, to which capitalists won't sink if they think they can make money out of it." And I must admit, at times, I find it hard to argue with Mr. Gliniecki. Decisions last year by most major retail outlets to open their stores not just early on Black Friday, but back into Thanksgiving evening as well, would support his position. Corporations which already are making money hand-over-fist, force their employees, who are often working at low wages as it is, to work on a day dedicated to family and giving thanks. Nothing seems right about that. Many of my conservative friends place capitalism right up there with apple pie, family values and the divinity of Christ. Don't you dare criticize, they say, else you be labelled a pinko commie, or even worse, a liberal. 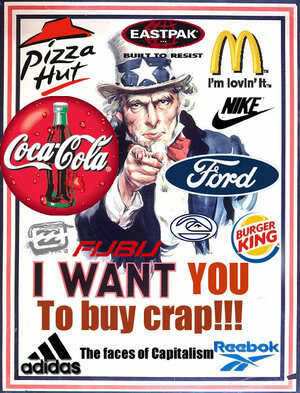 I find myself hesitant to criticize the principles of capitalism too much. As flawed as it is, I believe it is the best system around for generating a sustainable middle class, for giving citizens opportunity to succeed, and for eliminating waste. Yet capitalism unchecked has this tendency to devolve into a rabid self-indulgence, a constant need to feed our insatiable appetite for more, better, and bigger. So what are the checks against this hyper and destructive capitalism? There are two, I believe. First, is simply being content with what we have. In Philippians 4:11-13, the apostle Paul says, "I am not saying this because I am in need, for I have learned to be content whatever the circumstances. I know what it is to be in need, and I know what it is to have plenty. I have learned the secret of being content in any and every situation, whether well fed or hungry, whether living in plenty or in want. I can do all this through him who gives me strength." 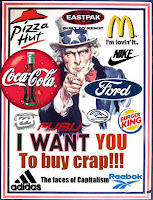 If capitalism has grown too big for its britches, then we need to starve the beast. Keep your used car a little bit longer. Shop at Goodwill and Salvation Army for clothes. Trade toys with friends and neighbors. These stores are open on Thanksgiving because we are complicit in this ugly development. So stop shopping on Thanksgiving. Secondly, is the aspect of simply decency. Ethics. A code of conduct that respects the employees that work for you. I am blessed to work for a company that puts its money where its mouth is when it comes to employee satisfaction. We understand that valued employees, who are compensated properly, given excellent benefits, and solid healthcare are happy employees. And happy employees return their loyalty in spades. But can this mindset work in the cutthroat world of retail? Well, REI thinks it can. Yesterday the popular outfitter store announced that not only would they be closed on Thursday, but on Black Friday as well. And as if that wasn't enough, they are actually going to still pay their employees for working on Friday. Amazing. 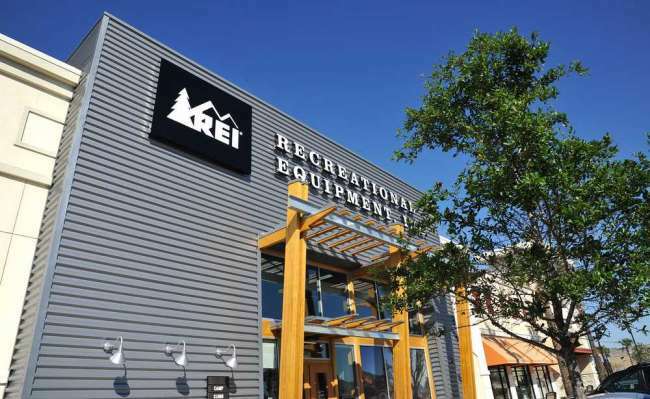 Jerry Stritzke, REI CEO said, "We think that Black Friday has gotten out of hand." Now, the cynical among us might claim that this is just a ploy, a gimmick to increase sales overall when Black Friday sales are already down from previous years. Maybe, but to be honest, even if true, I really don't care. I find it hard to criticize a store that actually closes on the biggest shopping day of the year, and pays its employees instead to go out and enjoy God's creation. Congrats, REI. Hopefully this is part of a new trend. Have we really discovered a huge alien megastructure? It's interesting, being a Christian in a scientific-related field. "Faith has no place in science," I've been told. "We deal only with the empirical, only that which can be tested against the scientific method." Got it. And while there have been a number of fellow engineers willing to seriously discuss matters of faith and science, more often than not, suggestions that an intelligent, divine and eternal being exists that not only created this incredible universe, but also loves you and died for you, are often met with that condescending smile usually reserved for your sweet grandma that has a slight case of dementia. Yet ever since Sir Francis Crick (winner of the 1962 Nobel Peace Prize for Physiology or Medicine, and famous anti-religious zealot) postulated that primordial life must have been shipped here by aliens in spaceships, science has "jumped the shark", so to speak. But what else can you do when you come to the conclusion that life springing from non-life just isn't possible? "You believe that God created the universe? [smirk] That's ridiculous." 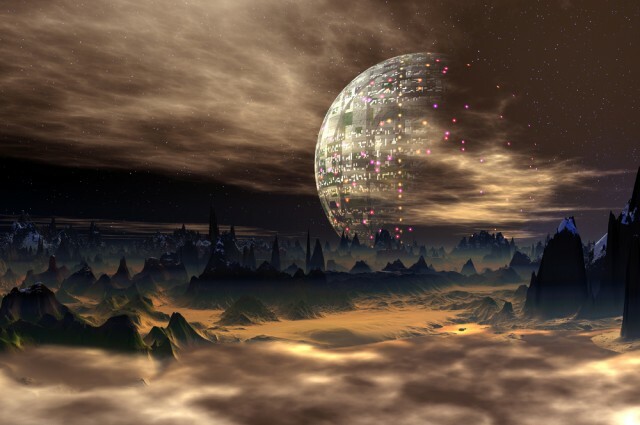 "You believe aliens brought life here from their super-secret mega structure on star KIC 8462852? [contemplative nod while stroking chin] Hmm, it's possible." At the end of the article referenced above, the author says, "But, here or elsewhere, we’re surely going to find some sign of another intelligent race eventually." Why are we so desperate to believe aliens are "out there"? Because each one of us was created in the image of God, and therefore way deep down we know instinctively that we are connected to something bigger and greater in the universe.